Apostolic Revelation: Are The Prophets And Apostles Were Meant To Be The Foundation Of The Church? Are The Prophets And Apostles Were Meant To Be The Foundation Of The Church? 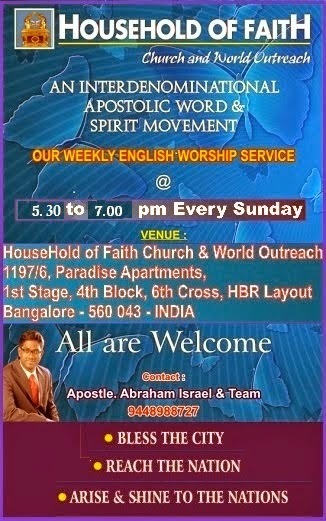 Is Apostolic-Prophetic The Church Base? What we going to do is to see right from the Scripture whether this is true or false? Let us logically and also from spiritual perspective deduce the answer we are looking for, which is very important to live in our times in confidence and joy. Praise the Lord! If we see what is the reason people say that apostles and prophets are the foundation of the Church, it is because they take this word from Paul's letter to the Ephesians which says like this, "19 Now, therefore, you are no longer strangers and foreigners, but fellow citizens with the saints and members of the household of God, 20 having been built on the foundation of the apostles and prophets, Jesus Christ Himself being the chief cornerstone, 21 in whom the whole building, being fitted together, grows into a holy temple in the Lord, 22 in whom you also are being built together for a dwelling place of God in the Spirit." (Eph 2:19-22). What does the above verses speak about in context, let us delve deeper in to it. The verses assures that every believer is now a "citizens with the saints and members of the household of God", which means every believer should stop thinking that they are "strangers and foreigners". There is a alienation in the mind and soul of all those who accept Christ and come to be a part of the household of God which is the family of God present both in Zion the city of God in heaven and in the earth where assembly of them are present and continue as God's dear children in training until physical death for a higher life in heaven in their future with the Father God (Eph 3:15; 5:1; Heb 12:22-23). There are alienation in the people of God by their financial status, education, gender and skin color (Gal 3:28), doctrine (Eph 4:14), country of origin (Acts 6:1), past moves of God with a particular people (Eph 2:11-13), financial status, caste, pride and prejudice (Acts 10:14-15; Gal 2:11-21), etc... God wants to reeducate these precious children of His own making (John 1:13), and take away the alienation that have made them to act like the world around them which is ruled by Satan and his demonic cohorts who are God's enemies (2 Cor 4:4). So what is the tool that God has given for this reeducation of the children of God for present empowerment which will qualify them for future ruling and reigning position with Him in heaven and new earth? For all believer to come to a perfect and a mature state of spirituality (Heb 5:12-14), God has gifted the assembly of believers His very own gift of His own choosing, who are apostles, prophets, evangelists, pastors and teachers (Eph 4:11). These gifts of Jesus who are five-fold ministers to the Church are to be sold out themselves for the purpose of being immersed in the Word of God and prayer to minister it (Eph 4:7-8; Acts 6:2, 4, 7), so that the Church as a whole might grow to come in to the unity of faith and of the knowledge of the Son of God, to a perfect man, to the measure of the stature of the fullness of Christ (Eph 4:13). So it is the duty of the five-fold ministers to fully sell themselves to the Word and Spirit of Christ to equip themselves through the Scripture (2 Tim 3:16-17), so that the Church might be equipped to become mature in the Word and the Spirit to let the glory of Christ rule them and prepare them for a mighty future that is ahead for them with God. Those assembly of members who are being equipped should support the five-fold ministers of God with all their physical requirement of finance and other things to help them be sold out for equipping the Church (Gal 6:6). "Having been built on the foundation of the apostles and prophets, Jesus Christ Himself being the chief cornerstone." (Eph 2:20). So coming to the question, who are those apostles and prophets who are the foundation with Jesus Christ Himself being the chief cornerstone? Here it is, Is Paul speaking about the founding Old Testament prophets who wrote the Scripture, and the New Testament founding apostles like Peter, Himself and John who wrote the Scripture? We will see what is the probability of it. What did Jesus say about the Scriptures revealed by the prophets in the Old Testament who wrote it? Jesus said to those who questioned his death and its purpose, "25 Then He said to them, “O foolish ones, and slow of heart to believe in all that the prophets have spoken! 26 Ought not the Christ to have suffered these things and to enter into His glory?” 27 And beginning at Moses and all the Prophets, He expounded to them in all the Scriptures the things concerning Himself." (Luke 24:25-27). In the above dialogue of Jesus we come to understand that the Scripture that the Old Testament prophets wrote speaks about Christ's birth, death. resurrection and the glory to follow, and therefore is the foundation for all believers to build the Church on its doctrine and believe it to live and receive the reward for it (1 Cor 15:3, 4, 1-2; 1 Thess 2:13; Rev 22:12). 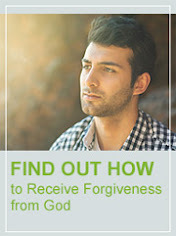 This is also confirmed when Jesus spoke about a real life story in which Abraham points out to a rich man who asks him in the prison of Hades to send someone to tell his brothers who are living on earth to hear the message that hell fire is real and the separation from God is real, and comfort of heaven is also real after death for the righteous people, Abraham replied to him in that conversation saying to Him, if the people on earth who are given the writing of Moses and the prophets which they are not ready to believe as the direct revelation of God through these men, how will they believe Jesus who rose from the dead and fulfilled the writing of the Scripture which points out to Him (Luke 16:27-31; John 5:39; Gal 3:24). We see that the intitial Church followed the doctrine of the apostles, which in fact means not just the founding apostles, but all the rest who worked with them (Acts 2:42-23). That means did Jesus speak about sending the prophets too along with these apostles? Yes He did when He said, "...I will send prophets and apostles to them" which was in the future tense when Jesus was speaking at that time, thus pointing to prophets and apostles of the New Testament era who will come to people to lay doctrines as the foundation of the Church which Jesus is building (John 20:21; Matt 23:34; Luke 11:49; Matt 16:18; 1 Cor 3:11, 9; Acts 4:10-12). So these apostles and prophets who are the foundation of the Church are not just Scripture writing apostles and Old Testament Prophets who wrote Scripture which Paul was speaking about in Eph 2:20, but rather he was speaking about the prophets and apostles who were the gift of Jesus (Eph 4:11), which He has given to the Church for edification and building of the Church. 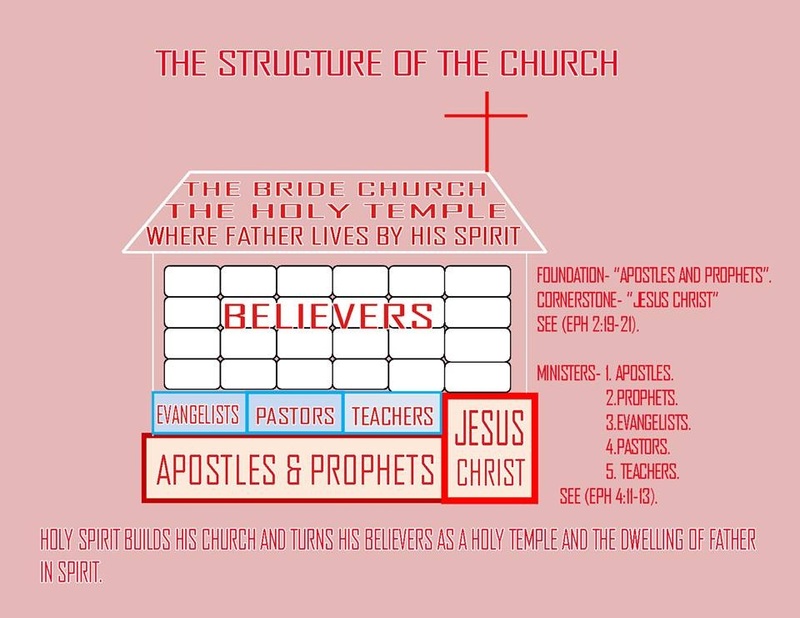 Thus the apostles and prophets are the builders of God's house through doctrines to make the Church stay on the foundation of the cornerstone of Jesus and then demonstrate it with miracles, signs and wonders to let the Word of God grow greatly (1 Cor 3:11, 9, 10; 2 Cor 12:11-13). Prophets like Agabus were leading prophets in the first century Church who foretold great natural disasters to the Church and personal trials apostles faced which were coming from the world, to make them prepared to face it and overcome it for the Glory of God (Acts 11:27-28; 21:11). But did they just stay there prophesying about events or did they also build the Church with doctrines of grace along with the apostles? Agabus was not the only prophet, but we see Paul, Barnabas, Judas, Silas and like them many other too...exhorted and strengthened the brethren with many words, teaching and preaching the Word of the Lord (Acts 15:32, 34- 35, 33). Even Acts 13:1-2 teaches that the great first-century church in Antioch was led by prophets. There was no mention of apostles in that church. This shatters the false assumption that present-day prophetic leaders cannot lead huge organizations or networks. We know that these prophetic Teachers of the Word in the Church when "they were worshiping God--they were also fasting as they waited for guidance--the Holy Spirit spoke: "Take Barnabas and Saul and commission them for the work I have called them to do."" Thus we come to know that out of this group, apostles God raised. If we see how these prophets were moving, two among them they chose when it pleased through the Spirit for the prophets and elders to select them for sending them to establish the Church as apostles in good doctrine by letter, teaching and preaching of the Word of The Lord by His Spirit and to build the Church further in to His fullness (Acts 15:22-23, 28). So the apostles really are those who lay the foundation for prophets to follow together along with them. When the Church and Holy Spirit sent Paul and Barnabas to preach the Word of God and build the Church, then they really became apostles to build churches, establish them in the grace of God and then make them mature in the fullness of Christ (Acts 13:1-3, 4, 5). Miraculous signs from God will always astonish the people who hear the apostles teaching of the Word, as because of it more will come and desire to seek the word of God from them as they are men filled with the Spirit who will keep being filled in an ongoing fashion (Acts 13:7, 9, 12). So, even though prophets were sent as messengers or mouth piece of God (Isaiah 6:6-9) they are mainly stationary in regards to their national or state focus of the apostolic centers. But even though these prophets send the apostles out, once they are out of the local state or national apostolic reformation centers, they will be deployed by God strategically as God’s generals to establish His kingdom witness in new nations and arenas of life with a sphere of authority that becomes International, and even begins to supersede and cover the local apostolic center which has sent them as the doctrine of apostles begins to spread with unusual signs, wonders and miracles attested by God. But when the apostles come back to the local apostolic centers who have sent them, there they work with the prophets together hand in hand further in their outreach locally. These apostles and prophets are men who together work for the Glory of God to preach the words from God, but also they have the ability to persuade the Church to continue in the grace of God (Acts 13:42, 43). When persecution comes, they will grow bold and will continue to minister the word of the Lord and will spread it throughout the region, thus the disciples will be established by being filled with joy and the Holy Spirit (Acts 13:46, -47, 48, 49, 50, 52). These are true apostles who move with supernatural boldness speaking the word in the Lord and preach the gospel and the word of His grace, with God bearing witness granting signs and wonders to be done by their hands (Acts 14:3, 4, 7). When persecution and the designs of evil one arises against them in one place, they will flee to other places where the Holy Spirit leads them and will continue in their mighty work for the Lord according to the instruction of Jesus previously given (Acts 14:5-6, 16:7-8, 8, 9, 10; Matt 10:14, 16, 23; Mark 6:11). So the bottom line is, in Eph 2:20 Paul the apostle was not just speaking about the founding Old Testament prophets who wrote the Scripture and New Testament founding apostles who wrote the Scripture, but rather the present time gift of the apostles and prophets of Eph 4:11 as those who are the foundation of the Church along with the Chief apostle Jesus being the cornerstone along with them (Heb 3:1). Praise the Lord! That is why in the order of the Church, Paul the apostle mentioned these two offices of the New Testament in the highest order in relation to the other three offices of the Church [i.e First apostles, second prophets] (1 Cor 12:28-29; 14:19). Then where do teachers, evangelists and pastors operate in context to apostles, prophets and the chief apostle Jesus Christ who is the cornerstone. As the apostles, prophets and the chief apostle Jesus Christ who is the cornerstone is the base, these teacher, evangelists and pastors are placed above the base to build upon them their work inline to the revelation of the Word of the Lord, so that the Church might grow and the Word of God might spread to all places everywhere in the world around. Where do believers stand in relation to all the above five-fold gift of Jesus to the assembly? The Church of believers and all assembly of the Household of God, will build themselves upon Jesus the Chief apostle to them all and also upon the pastors, teachers and evangelist who are built upon the base of the Church apostles and prophets. This is the true Divine order for the Church that is being restored by the grace of God in our generation for the Church to arise and shine with the Glory of God like never before towards the world which is sinking in to gross darkness of the Satanic government of this present world (Isa 60:1-3). So what is the destiny of the Old Testament saints who followed the Scripture in faith? Is it the same that is planned by God for them along with the Church? No, Israel the nation which along with Judah that followed the Scriptures of the Prophets had already spent their time in physical rulership on earth, and they will continue spiritually to just participate in the grand celebration as friends and guests of the bridegroom who is Jesus during the Millennium (Matt 8:11-12; John 3:29; Mark 2:19; Matt 9:15; Luke 5:34; Matt 6:2, 5; Luke 6:24; Deut 28:1-14). While the Church will be the one that will reign from heaven which is the city of God over the earth with Christ, the Jew within the Church will rule over the nation of Israel and the Gentiles within the Church will rule over the nations of the rest of the world spiritually for the Millennium in this old earth and also will continue in the new earth in the same way (Eph 1:4, 20, 21-23; Php 3:20-21; Luke 19:17, 19; Rev 21:24-27). According to Jesus John the Baptist was the last and the greatest prophet of the Old Testament, He revealed that the Old Testament came to an end with him (Matt 11:13; Luke 16:16), and therefore John the Baptist along with all the Old Testament saints are the friend of the bridegroom while the Church remains as the bride of Jesus the bridegroom (John 3:28-29; Mark 2:19). The Church is one of the greatest spiritual creation of God until this present date, and therefore the least member who are part of it is greater than the greatest of the Old Testament prophets who is John the Baptist (Matt 11:11-12). "27 Then Peter answered and said to Him, “See, we have left all and followed You. Therefore what shall we have?” 28 So Jesus said to them, “Assuredly I say to you, that in the regeneration, when the Son of Man sits on the throne of His glory, you who have followed Me will also sit on twelve thrones, judging the twelve tribes of Israel." (Matt 19:27-28). "15 “And so it was that when he returned, having received the kingdom, he then commanded these servants, to whom he had given the money, to be called to him, that he might know how much every man had gained by trading. 16 Then came the first, saying, ‘Master, your mina has earned ten minas.’ 17 And he said to him, ‘Well done, good servant; because you were faithful in a very little, have authority over ten cities.’ 18 And the second came, saying, ‘Master, your mina has earned five minas.’ 19 Likewise he said to him, ‘You also be over five cities.’" (Luke 19:15-19). "24 And the nations of those who are saved shall walk in its light, and the kings of the earth bring their glory and honor into it. 25 Its gates shall not be shut at all by day (there shall be no night there). 26 And they shall bring the glory and the honor of the nations into it. 27 But there shall by no means enter it anything that defiles, or causes an abomination or a lie, but only those who are written in the Lamb’s Book of Life." (Rev 21:24-27). Who are the Kings of the earth? We know in heaven they acknowledge that those who have followed Jesus as His disciples on this present earth are kings, these disciples of Jesus realize themselves to be priests and kings in heaven (Rev 5:8, 9-10). That is the same things apostle Peter instructed all believers to self-realize now in this earth itself because we are trained now on earth for what we are going to be in heaven and in the new earth (1 Peter 2:7, 4, 5, 9; Heb 13:14-15, 16; 2 Peter 3:13). Once this time comes up for the rulership of the Church, the present evil spiritual rulers of the darkness of this age in the heavenly places in the second heaven will be thrown down to earth by the angels just moments before the rapture of the Church (Eph 6:12; Rev 6:1; 12:7-9, 10). After we are raptured by Jesus, we will have our residence in our Father's house in the city of God which is the higest heaven and that which is mentioned by apostle Paul as the third heaven (John 14:2; 2 Cor 12:2). Staying in the heavenly palaces and mansions with Jesus, we all in our glorious body together with Him will come to defeat the enemies of God and to establish the rule of God in this earth with a rod of iron and keep peace on earth through Jesus our prince of peace (Rev 19:7-8, 11-16). In the second heaven, the Satanic forces which were dislodged, will be occupied strategically by the armies of heaven which is the Church with its captain and head of the army Jesus the Christ (Eph 5:23; Col 1:18). From that point on, the revelation of Jesus Christ will start to happen more and more in the earth through the Tribulation and will culminate on the day of Jesus Christ's Second Coming to this present earth. From that day onward, a theocracy of God's Kingdom will be the one that will rule the earth. Jesus the Christ will be the king of this whole earth along with the Church and this new government will rule the whole earth with Jerusalem as the capital of the Kingdom of God (Matt 19:30; 5:35; 28:18; Dan 7:27; Isa 9:6; Luke 9:48). GLORY TO GOD! "21 in whom the whole building, being fitted together, grows into a holy temple in the Lord, 22 in whom you also are being built together for a dwelling place of God in the Spirit." (Eph 2:21-22). So what we finally learn in God building the whole building of God's house which is the Church is, it is fitted together and is growing day by day in to a holy temple in the Lord. We are being fitted together by God's Master builder Jesus Christ and the apostles who are likewise His co-workers along with the prophets in doctrine through the Scriptures more and more each day. Praise the Lord! All these are done with a purpose that a dwelling place of God in the Spirit might happen for the government of God, so that it can come again fully in all power to this present earth (Matt 6:10), and after this in the new earth where there will be no more rebellion of the Satan and his evil angels or the people who followed him (Matt 25:41, 46). They being judged by the Church, will be thrown in to everlasting fire for all the saints to see how rebellion can lead those rebels and its people to become a laughing stock before God and His people for eternity ahead (Rev 19:20; 20:10; 1 Cor 6:2, 3; Isa 66:22, 23, 24). God will have the last laugh without fail (Psa 2:4-5). The people of this world will then be ruled and judged by the Church from 2nd heaven and on earth by martys of all times from the beginning as the priests of God within His temple, both of them will work with Jesus in their glorious resurrected bodies for a thousand years (Rev 20:4-6), during this time all the demonic evil angels will be bound along with Satan for a thousand years and will be let out a short time after that to gather the rebels after which God will bring a complete end to this present earth by destroying it with fire and will vaporize it to be no more (Rev 20:1-3, 7-10; 2 Peter 3:7, 10-12). Then immediately Satan and his demonic army will be forever thrown in to the lake of fire for all saints to see (Rev 20:10), then all ungodly men who were not saved and followed Satan will rise up in their body again and they will be taken to second heaven to be judged by Christ and the Church in the White Throne judgment, after which those unsaved people will be sent directly to the place where Satan and his entire government have been sent already (Rev 20:11-15; Matt 25:40, 46). Those who partake in the rebellion of the last days with Antichrist against God by receiving his seal during the Tribulation of the end will be directly sent to the lake of fire even before the White Throne judgment and the Millennium rule of Jesus because they would have knowingly received the seal after they were warned by angels from heaven (Rev 3:10; 14:6-11; 16:1, 2, 10-11, 12, 14, 21; 6:12, 15, 16, 17; 19:17-18, 19, 20, 21). May our dear Lord God Almighty help the Church arise and shine in its glory! GLORY...GLLOOORRRYY TO GOD! !